It’s no secret that high-quality customer service boosts profitability and brand reputation. This is the same in the automotive industry, although most businesses in this industry, like dealerships and auto repair shops face a tough challenge to improve customer experience. 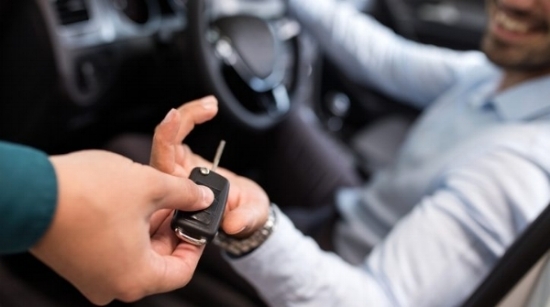 Here are a few keys to improving customer service in the automotive industry. It would be nice to see instant returns on an investment, in this case, customer experience improvement strategies. But in reality, only a only a sustained effort will produce results that will help improve the business. Customers need to see great service as the rule, not the exception to the rule. The tip is to make your employees feel that the customer experience improvement has become an important part of the workplace environment. Provide opportunities for your employees to improve on their customer service skills, and keep the focus on providing a better experience that will be passed down to new employees and ultimately help establish a culture of accountability within your company. Customer experiences are one of the most important things to note as a customer service provider. Building an environment customers can feel comfortable in, whether it’s by doing the little things like offering fresh coffee, reading materials, clean waiting areas, free Wi-Fi, pleasant décor, etc. show your customers that you’re paying attention to their needs and their experiences. The goal is to create an inviting space that will reshape the way they think about the automotive experience, whether it’s at the repair workshop or at a sales room. People are willing to pay a little more for services to their vehicle if they’re also well taken care of. Customers can only assume that what they see, in this case, the waiting room, employees at the service desk and the overall environment, is an accurate reflection of the kind of care and attention to detail their vehicle will receive. While old school, the well tried and tested customer satisfaction survey or a series of surveys that participants can access easily after interacting with your business are still the best way to know what your customers want. With the experience fresh in their minds they’ll be better able to recommend changes and make detailed comments. The strategy isn’t a new one, in fact, it’s the customer satisfaction survey’s convenience and straightforwardness that has for decades made it so important in working toward customer experience improvement. While it’s important that to put focus on marketing, efforts on customer experience improvement cannot be ignored. That’s why it’s so important to have great customer service representatives in the automotive industry.